It is one of the top brother sewing machines. Put your creativity in fashion into better and easier use with Brother CS6000i sewing machine. You can select the specific type of stitch, ensured with accuracy through the aid of an integrated LCD display selector. There are 60 built-in stitches integrated within this computerized sewing machine that you can ideally use for simple and intricate tasks like quilting, garment construction, and more. The over-sized table that comes with each unit is designed for more and bigger projects. 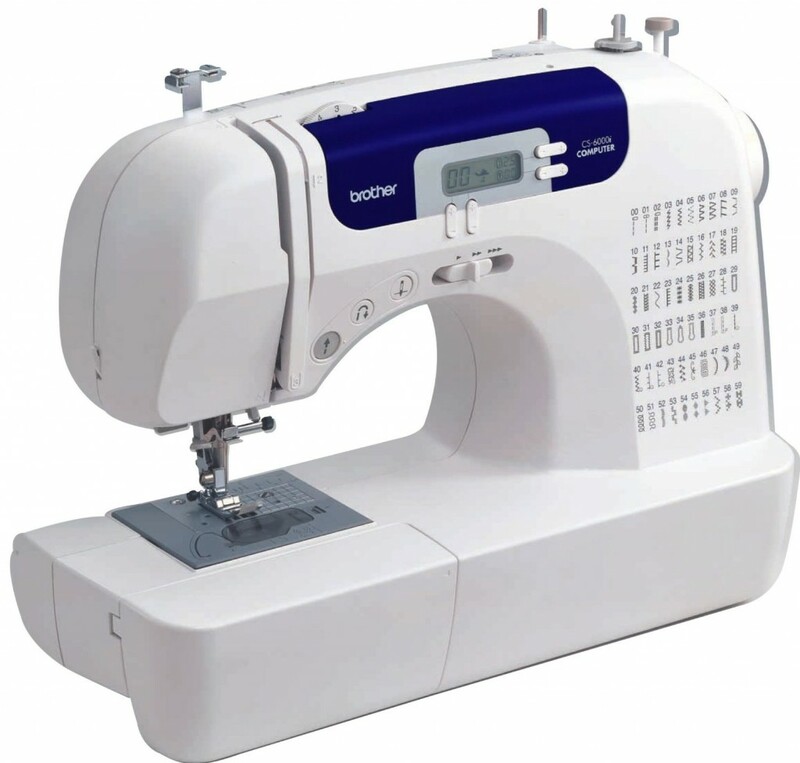 The computerized operation makes Brother CS6000i a reliable and durable sewing machine. Users may commit fewer errors and get more precise results. If parts are set up incorrectly, the machine will generate an error message. When changing stitches, its display indicate which presser foot should be used. This feature facilitates better performance to do simple to complex projects from costumes to crafts and blankets. The machine makes sewing more fun. The LCD screen is helpful. The instruction manual is straightforward and easier to understand. A stitch speed slide provides instant control over how slow or fast you prefer to sew. Its weight is lighter compared to other machines of its caliber, making it more convenient as it is easier to transport and to move around. Also included in the unit is a hand carry case so you can possibly take the machine anywhere you go. Brother CS6000i is quieter compared to most other sewing machines available today. It is not totally quiet when in use but the noise produced is significantly lowered. Weird noises produced occasionally may indicate machine malfunctions and wrong usage. Bobbin winding is easier. You will be directed where and how to properly put the thread. Just follow the diagram with numbers printed right on the machine to thread easily. An automatic needle threader pushes thread into the needle quickly and accurately with just a touch of the lever. The extension table makes quilting easier and is helpful when doing large projects. A built-in free arm is provided for sewing sleeves and cuffs. The sewing area is brightly lit so you can be more comfortable working on darker fabrics. Who should buy brother CS6000i? This sewing machine is for users who have high aspirations but limited budget. It is best for personal and professional use. With its user-friendly features, even beginners can highly appreciate it. Quilters (both beginners and experienced ones) would surely love its quilting capability. Several users may find other setbacks like dim lighting, cramped workspace, flimsy construction, and limited versatility but overall, it has still much more to boast about. The machine shares very important and useful features with other sewing machines that are much costlier.